Try adapting an acrostic to make application to the lives of the children in your class. This is a fun way to encourage class participation and discussion around the key words in the Scripture you are studying. Read the scripture containing the lesson you have chosen and decide on the theme or thought that you would like to bring out and apply. 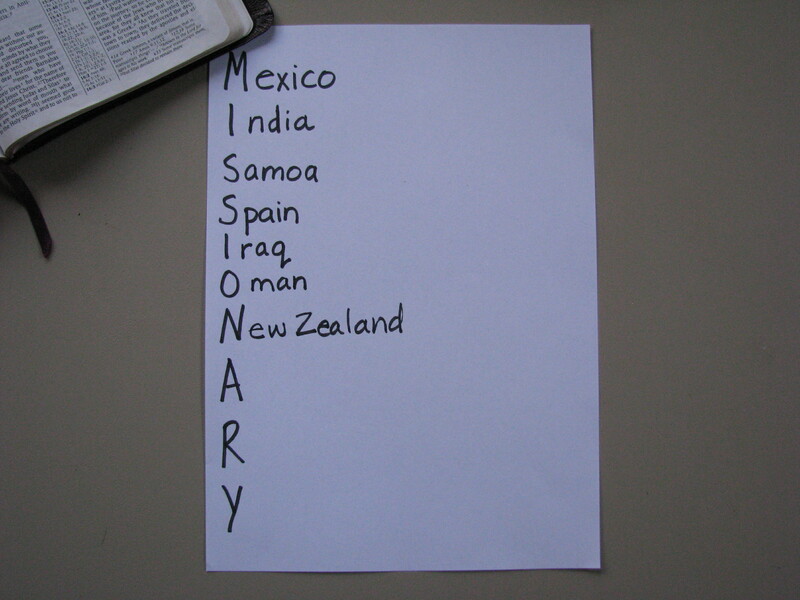 Choose a key word (or words) and write the letters of the word vertically down the left side of the paper. Guide children in thinking of related words that begin with those letters. Instructional video with examples from a number of lessons here.